This flush mounted wallplate accepts all QuickPort Snap-in modules used for audio, video, and telecommunications. It can mount to recessed wall boxes and brackets for a low profile look, or it can surface mount using a Surface Mount Wiring Box. 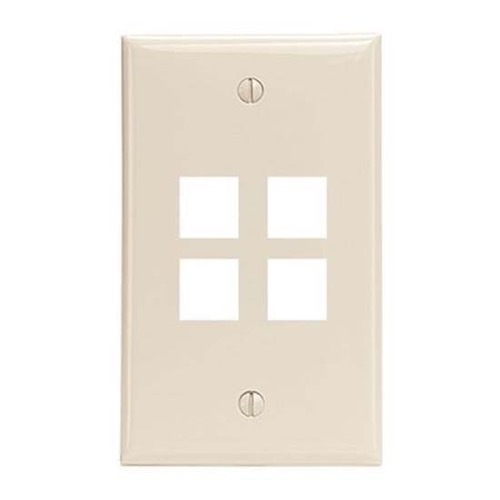 Please Note: This wall plate is Light Almond, not White.